A RESEARCHER WHOSE work has informed the upcoming national planning framework (NPF) has criticised plans for a motorway to connect Cork and Limerick. 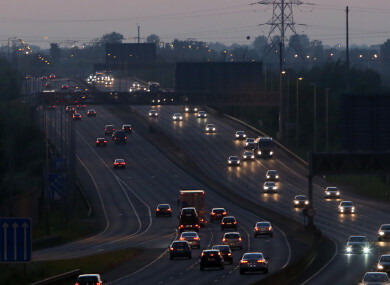 Dr Edgar Morgenroth – Professor of Economics at DCU – said that plans for the €850 million motorway would undermine the proper growth of “second tier” cities in Ireland. He rejected claims by An Taoiseach Leo Varadkar that the motorway would encourage the cities to grow faster. Speaking on RTÉ’s Morning Ireland, Morgenroth said the motorway would not lead to the growth needed in cities like Cork and Limerick, but would instead lead to sprawl. “There are a number of things that need to be borne in mind,” Morgenroth said. “The first thing is that the original draft plan envisaged significant growth of the second tier cities which is what’s needed to anchor the economic activity in the weaker regions. Without big cities in the regions those area that are not close to Dublin are simply going to continue doing quite badly and that’s what they have been doing. He said that in order to achieve this, it was important “to put the infrastructure into the cities, not between them”. “Once you put the motorway between two cities what you’re doing is getting more sprawl. So you’re undermining your own strategy,” he said. Morgenroth also said that building a new motorway also undermined a commitment by government to reduce carbon emissions. “So from a sustainability perspective, another motorway is not actually what’s needed. What we really need is urban public transport,” he said. Speaking yesterday to RTÉ’s This Week programme, An Taoiseach Leo Varadkar defended the planned motorway, saying that the government thought that it “makes sense”. “We now want to connect Limerick and Cork via the N20 so we can connect Cork Limerick and Galway by motorway and therefore enable them and empower them to grow faster than Dublin in the 10, 15 years ahead,” he said. The National Planning Framework – which will be launched this Friday – is a roadmap for national planning and infrastructure development over the next 20 years. A key part of the plan is looking at ways to encourage growth in rural towns and cities like Galway, Cork and Limerick. Morgenroth said that there wasn’t much evidence to back up Varadkar’s statements on the new motorway. “I don’t think there’s much evidence that that sort of thing happens,” he said. “What we see is sprawl. It facilitates sprawl. “If it was simply a matter of connecting two places and immediately you would get growth well we’ve done that quite a bit over the last 15 years we’ve developed a big motorway network. Yet what we’re seeing in terms of regional development hasn’t really changed. He said that unless determined steps were taken to improve infrastructure in smaller cities things would not change. “And one of the items that I looked at in my report was what would Ireland look like if we don’t change things,” Morgenroth said. “And we’d find is that the economy concentrates more in and around Dublin than elsewhere. And that’s ultimately what we’re going to get. Read: Ireland 2040: What are the key things you would prioritise? Email “DCU economist rejects Leo's insistence that Limerick-Cork motorway 'makes sense'”. Feedback on “DCU economist rejects Leo's insistence that Limerick-Cork motorway 'makes sense'”.